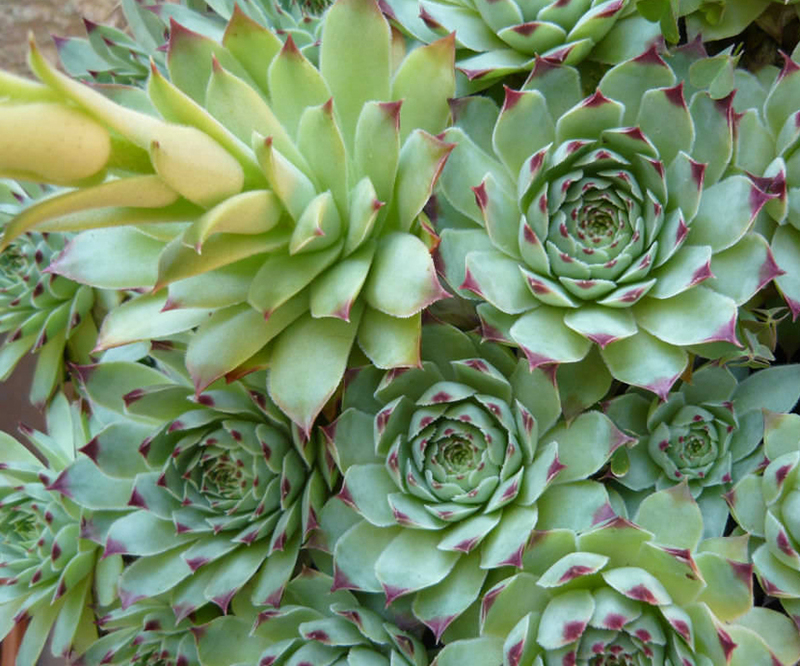 House-leek has a fibrous root, with several tufts of oblong, acute, extremely succulent leaves. The stem from the centre of these tufts is about a foot high, erect, round, and downy; flowers large, pale rose-colored, and scentless. Offsets spreading.